The right lampshade can transform a simple lamp base into something ex traordinary. 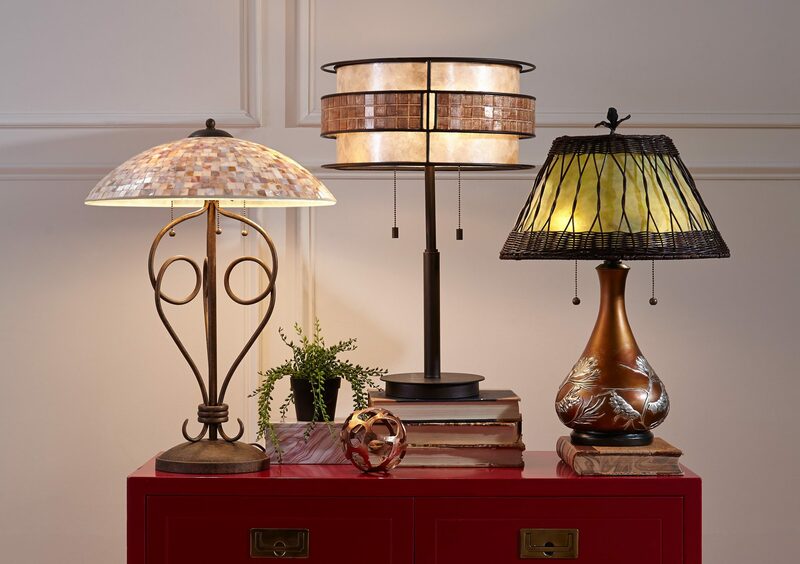 More than just something to diffuse harsh glare from the light bulb, lampshades have become important design elements that add decorative accents to your decor. Lampshades are also a simple way to change the look of a room. But, how do you pick the perfect lampshade for your lamp? In this blog, I will discuss sizes and styles of shades, how to measure for proper height and width, materials, and colors. First, get the right size shade to complement your base, and second, get a shade that goes with the existing decor. A shade that is too big or too small is unflattering. A shade that is a completely different style than the lamp base and room décor will look awkward. 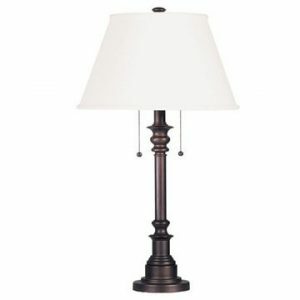 HEIGHT: According to interior decorators, the height of the shade is generally 3/4 the height of the lamp base. Some designers use a 60/40 ratio. In a typical table lamp this will be two to three inches difference. 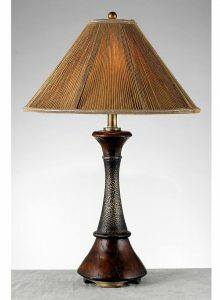 For floor lamps, the shade is 30-40% of the height of the pole. WIDTH: Just as height is important, so is the width. A general rule of thumb is the width should be at least 1/2-inch wider than the base of the lamp on each side. In determining width, consider the table it is on as well. The shade should not be larger than the width of the table. SHAPE: Now that you have a size, you need to determine shape. Various shapes of lampshades serve different purposes. Designers recommend a light shade that follows the general contours of the base. The shape and style of a lampshade affects the amount and kind of light the lamp gives off and the direction that light is directed. Light emits from the various shapes of shades in different ways. The shape affects how far the light is useful and is useful for lighting for specific purposes. Light emitting from the top of the shade produces a reflected light bouncing off the ceiling and creates ambient light. Light emitting from below produces a more focused or direct light. 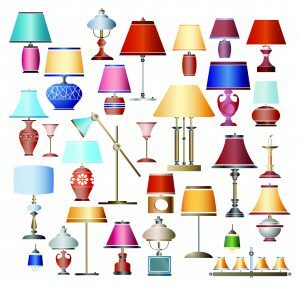 There are over a dozen shapes of lampshades that can fall into several basic styles: Empire (bell-shaped), Straight Empire, Drum, Square, Oval, Rectangle, and Conical (Coolie). 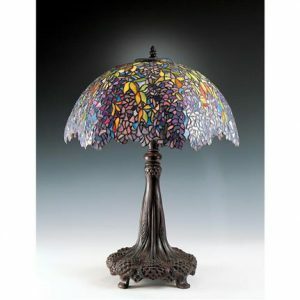 Tiffany lampshades are a special style of lampshade that resembles stained glass. The bell-shaped Empire shade and Coolie shades emit the most light from the wide bottom and less from the top. Because the area is wide, the light is relatively diffused and covers a wide area. This shade is idea for desk, table or as a bedside reading light. A bell-shaped shade on a floor lamp is ideal for reading. Light from a Drum shade is focused through the top and bottom with some diffused light passing through the sides (less if a hardback shade). This shade is ideal for floor lamps and hanging light fixtures over tables or islands. Square and rectangular shades are a good choice for contemporary and modern decor and are used with squared bases on both table and floor lamps. The sharp edges have distinct cut off of the light making it very directional. Hexagonal and octagonal shades are more visual than functional with sharp cut offs of light. Softback shades are made of cloth, linen, or paper and allow diffused light to pass through the sides of the shade for general ambient light. Hardback shades block light and direct it out the top and bottom. The interior is made of a rigid material and held by a metal frame. The surface is usually white or gold to reflect the light. Lampshades can be most any color with white, off-white, and beige the most popular colors. White offers an elegant, sophisticated look. White also reflects elements in the room. Off-white and beige complement any color scheme and are an elegant choice for most any design style. Black shades give a modern, sophisticated look and allow little light to pass through. Yellow offers a bright glow. Pink is popular for a girl’s room and adds a decorative touch. Blue is onecurrently one of the most popular shades giving a cool look to a room while providing a contemporary, designer look. Another current favorite is gray. Gray complements most any color and is an understated, neutral color. Red shades are usually used with matching décor and make a bold statement. 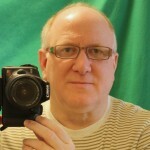 Green is used with earth tones of green and brown. Shades are also made of exotic materials such as sea shells, mica, jute, wicker, wood, and metal. Tiffany glass and art glass shades are a special shade that gives a stained glass affect. Part of the Art Nouveau movement, these stunning shades come in many patterns and give a room an elegant look. This unique and beautiful style of shade will be discussed further in next week’s blog.